Pizza or hot dogs for dinner? Now you don’t have to choose. 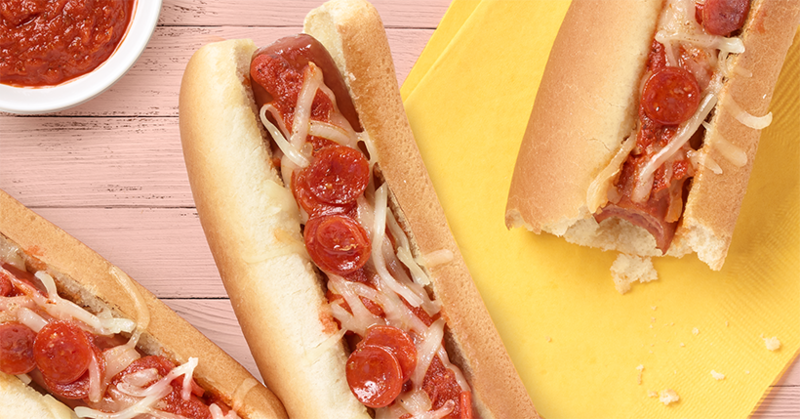 Try some Gwaltney Pizza Dogs in the kitchen tonight. Spread garlic butter on both sides of the inside of the hot dog buns. Place a cooked Gwaltney Great Dog in each bun and top with a few tablespoons of pizza sauce.